"A bright day was the arrival of . . . the first Peace Corps contingent in the mainland of Asia . . . greeted with much skepticism . . . the AID director was sure that those 'kids' . . . would never finish their two year tour of duty. I was intrigued by all that youthful vitality and confidence. . . . The group's leader, Bob Terry, was a truly impressive fellow, who exhibited an unusual blend of inspirational leadership and down-to-earth common sense. He and his group did exceedingly well, defying predictions to the contrary." – Archer K. Blood, Political Officer, 1960-62, and Consul-General, 1970-72, U.S. Consulate-General, Dacca, The Cruel Birth of Bangladesh: Memoirs of an American Diplomat, Dhaka, Bangladesh: University Press, Ltd., 2002, p. 10.
" . . . one of the great Peace Corps groups. Not one quitter when most of them had every excuse to quit." – Charles Peters, Peace Corps Chief of Evaluation, July 1963, cited by Gerald T. Rice, The Bold Experiment: JFK's Peace Corps, University of Notre Dame Press, 1985, p. 163. "What an eloquent introduction to such an important topic! I love the one million candles idea . . . I think we undersell our impact with the 220,000 number. Thanks for blasting that open! And I really like the way you laid out the three parts – Peace Corps service, the lives and continued service of RPCVs, and the service movement that followed. It's such an important story. And it is all so beautifully written! . . . Congratulations on a great start!" – Carrie Hessler-Radelet, Director, Peace Corps. Email to author, February 19, 2016. "His work has always been characterized by careful attention to detail combined with an uncanny grasp of the greater picture"
— The Experiment in International Living Citation, October 12, 1991. "Bob, . . . you are a masterful writer. It is an easy style, punchy, very effective. . . . the stories, from this sample, are engaging and informative. This will be an important contribution from a key person, and wise person, in the Peace Corps saga. . . . "
– Michael Sherraden, Director, Center for Social Development, Washington University in St. Louis, and co-editor, Civic Service Worldwide: Impacts and Inquiry, M.E. Sharpe, 2007, June 20, 2009. Bob Terry's book-in-progress, Lighting Millions of Candles: How Civic Service and the Peace Corps are Transforming Lives Worldwide, reports how Americans keep volunteering for long-term full-time civic service, despite our culture's romance with money and consuming. Service programs are shaped consistently by popular demand and bi-partisan leadership. These beacons shining during dark times help to keep part of America's promise exceptional. Americans give generously of their time and skills through programs of three kinds. First, traditional part-time volunteering – 62.8 million yearly serve in their community and religious charities. Second, civic service full-time and long-term — in the Peace Corps, AmeriCorps, Teach for America, and other programs. Third, service-learning – students overflow hundreds of school and university programs, fueling an academic growth industry inspiring tomorrow's volunteers. Why candles? They signal information and hope. Lighthouse beacons alert seamen to shoals. Our Statue of Liberty's "beacon-hand glows world-wide welcome." A proverb advises "better to light a candle than curse the darkness." 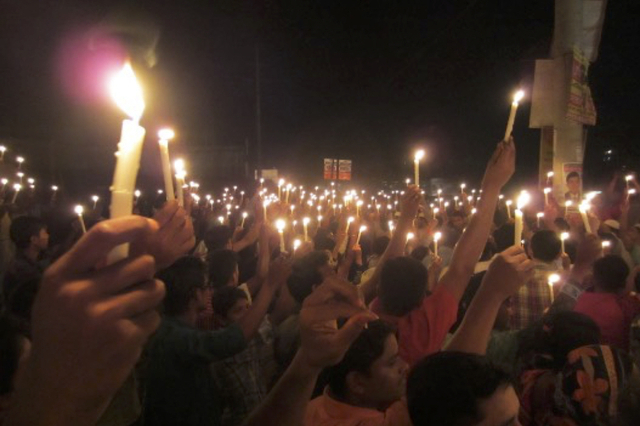 In most religions, candle flames symbolize peace and community. Why millions? Civic service numbers are notable. Since 1961, "more than 220,000" Peace Corps Volunteers have served in 140 countries. Far larger is the worldwide Peace Corps community comprising U.S. families and friends, US staff, host country staff (many having served years or decades), host supervisors and co-workers, students, host country families, and friends in the U.S. Foreign Service and local and international NGOs. The numbers of these groups easily total or exceed one million. The Peace Corps is but one chapter in the larger civic service story in the U.S. and abroad. Lonely Planet's Volunteer: a Traveller's Guide to Making a Difference Around the World (4th edition, July 2017) describes 159 organizations offering full- and part-time programs in 130 countries. Americans who have served in the Peace Corps, VISTA, AmeriCorps, City Year, USA Freedom Corps, WorldTeach, and other programs total over 1.25 million. More than 50,000 Americans serve abroad yearly through other programs. Some business corporations, for example IBM, sponsor short-term service by their employees. Many other countries have service programs, both international, such as Norway's 54-year-old Peace Corps, and domestic, such as Israel National Service. United Nations Volunteers number 7,500/year and 50,000 since 1971. Service-learning numbers are also notable. The National Service Learning Clearinghouse reports that American students serving part-time through thousands of school and university courses total about two million. In 75 other countries, over 350 universities in the Talloires Network encourage civic engagement and service in teaching over six million students. The service literature today offers mainly technical topics for specialists, and memoirs. Lighting Millions of Candles aims to be the first comprehensive trade title to inform and inspire four kinds of general readers: first, public and corporate leaders who design, fund, and manage programs; second, service-learning faculty and students in thousands of schools and universities; third, young "millennials" and encore "boomers" exploring their next life chapters; fourth, volunteers both serving and returned. Books published to date report mostly Peace Corps experience; few portray other programs. Most books published by Peace Corps writers are self-published memoirs about serving 2-3 years long ago and far away; a few titles are headquarters-centric. Arguably more important is how returnees shape their next 20-40 years; especially significant are entrepreneurs extending the legacy by creating social ventures and spreading service-learning. These stories are part of the Third Goal, defined by Congress, but scarcely told. Valuable early histories reported a few of the first Peace Corps programs. Terry supplemented his team's field experiences by researching National and Presidential Archives, recording lifetime oral histories of his teammates, and observing the Peace Corps community as a Director of the National Peace Corps Association. Part I relates the history of how the concept of full-time long-term civic service grew from trans-national roots. Jane Addams, William James, and other pioneers tested it in several crises. Then Senator John F. Kennedy's casual midnight campaign challenge in 1960 sparked the spontaneous student response which led him, as President, to create the Peace Corps in 1961. "How many of you are willing . . . ?" 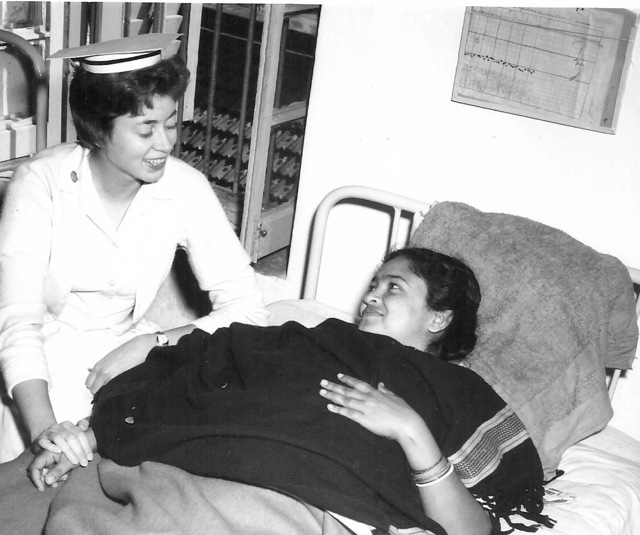 Part II reports how Terry's team of 30 Peace Corps Volunteers in East Pakistan (now Bangladesh) in 1961-63 tested several fields —nursing, teaching, engineering, mechanics, women's literacy — with failures and successes. East Pakistan then requested 150 more Volunteers. Early Peace Corps successes silenced skeptics at home and abroad. Part III traces how Volunteers return home to reflect on their experiences, often redefine their career goals, and continue to serve during the next 50 years. 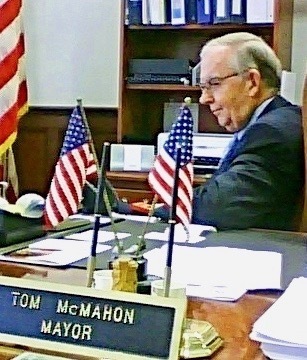 One story among many of Bob Terry's teammates is Thomas McMahon: engineer, founder of two companies, civic leader, and two-term Mayor of Reading, Pennsylvania. They help fulfill JFK's dream enshrined in the Third Goal: to educate Americans about other peoples. The Peace Corps became the gold standard inspiring the lasting legacies of many more service and service-learning programs. For example, Service Year Alliance aims to establish the norm that all young Americans should give one year of service. These programs continue lighting millions of candles at home and worldwide.